We are honored to win the SIIA CODiE Award for Best Enterprise Application Integration Solution. By bridging the gaps between multiple sources of dispersed data, we can help maximize learning through innovative cloud technologies, processes and expertise. 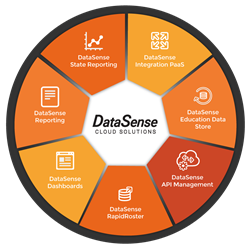 Last week DataSense, powered by Authentica Solutions, a BrightBytes company, was named the best Enterprise Application Integration Solution of 2017 as part of the annual SIIA CODiE Awards. CODiE Award recipients are the companies producing the most innovative Business and Education technology products across the country and around the world.